While many adverbs end in -ly, some adjectives do also! 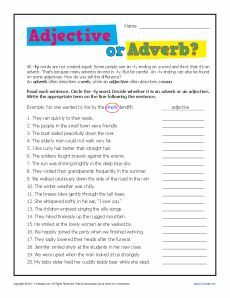 Your student will practice distinguishing between the adjectives and the adverbs in this worksheet. It’s great to use with either 2nd or 3rd grade Common Core Standards for Conventions of Standard English. It may also be helpful for other grades.